Today in Masonic History Robert William Duff passes away in 1895. Robert William Duff was a Scottish Politician and Governor of New South Wales. Duff was born in Stonehaven, Kincardineshire, Scotland on May 8th, 1835. He was educated at Blackheath School in London. In 1848 he joined the Royal Navy. He retired from the Royal Navy in 1870 at the rank of Commander. Prior to leaving the Navy in 1861, Duff was elected to the House of Commons serving Banffshire. He would serve in the House of Commons until 1893. Just before leaving the House of Commons he was appointed to the Privy Council. It was in 1893 that Duff was appointed to the Governor of New South Wales. This was a position that was more commonly given to someone in the peerage. William Gladstone, who was then Prime Minister of Great Britain, wrote to Lord Ripon the secretary of state for the colonies. Gladstone encouraged Ripon to appoint Duff rather than to give it to a member of the peerage, which Gladstone was strongly opposed to. 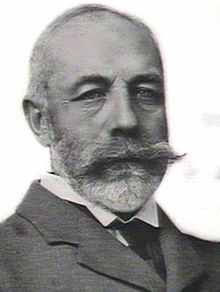 Duff arrived in Sydney with his family in May of 1893, having been appointed in March of that same year, to assume the duties of Governor of New South Wales. Duff's first year as Governor was troubled. In large part due to George Dibbs who was the Premier of New South Wales when Duff began his term as Governor. Dibbs was under a vote of censure and convinced Duff to prorogate, end the parliamentary session, in December of 1893. The following July, Dibbs ministry failed to carry the general election. Dibbs asked Duff to appoint several individuals to the legislative council. When Duff refused, Dibbs initially wrote a scathing memo and in Duff's words that was "full of false statements censuring my conduct". Dibbs offered to withdraw the memo if Duff agreed to appoint the individuals that he had recommended. When Duff refused, Dibbs resigned as Premier. Duff passed away on March 15th, 1895 from hepatic abscesses and septicemia. He was the first Governor of New South Wales to pass away in office. Duff was a prominent mason in Scotland and was installed as Grand Master of the Grand Lodge of New South Wales shortly after his arrival in Australia.